Ryan Ahern brings his live piano concert to the mainstage onboard Star Princess Cruises Backed by the Princess Cruise Lines Showband it will be the highlight of the entertainment lineup for sure! Ryan Ahern brings his live piano concert to the mainstage onboard Pacific Princess Cruises. Backed by the Princess Cruise Lines Showband it will be the highlight of the entertainment lineup for sure! Ryan Ahern brings his live piano concert to the mainstage onboard Star Princess Cruises. Backed by the Star Princess Cruise Lines Showband it will be the highlight of the entertainment lineup for sure! 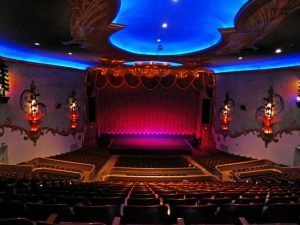 Ryan Ahern backed by his Red-Hot Contemporary Pop Orchestra is live and gracing the stage at the Prestigious Smith Center Las Vegas. Come be a part of this very unique opportunity and be on camera! Ryan will be filming his 2018 PBS Special tonight with this 7 camera shoot. Ryan Ahern brings his live piano concert to the mainstage onboard Ruby Princess Cruises. Backed by the Ruby Princess Cruise Lines Showband it will be the highlight of the entertainment lineup for sure! 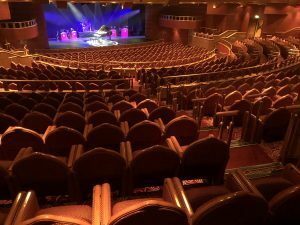 Ryan Ahern brings his live piano concert to the mainstage onboard Crown Princess Cruises. Backed by the Crown Princess Cruise Lines Showband it will be the highlight of the entertainment lineup for sure! 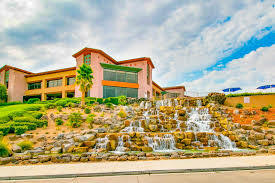 Ryan Ahern backed by his Red-Hot Contemporary Pop Orchestra is performing live at the Sun City Summerlin Freedom Hall. Don’t miss your chance to see Ryan in Concert. Ryan Ahern brings his live piano concert to the mainstage onboard Pacific Princess Cruises. Backed by the Pacific Princess Cruise Lines Showband it will be the highlight of the entertainment lineup for sure! Ryan Ahern brings his live piano concert to the mainstage onboard Sea Princess Cruises. 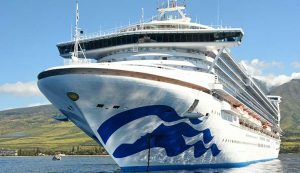 Backed by the Sea Princess Cruise Lines Showband it will be the highlight of the entertainment lineup for sure! World-Champion Show Pianist, Ryan Ahern, brings his incredible live piano concert to The Stockton Civic Theater. This will be a one man show in an intimate setting. This very unique show set up only happens a couple times a year. Don’t miss your chance to see the country’s leading piano performer up close and personal. Crossing nearly every style and genre of music including Ryan Ahern’s award-winning Boogie-Woogie, music of Broadway, Rock ‘N’ Roll, Amazing Movie Themes, a Tribute to Liberace, Jerry Lee Lewis, and contemporary hits from Maroon 5, Disney, Seal, Queen, Ray Charles, and so much more! Ryan’s masterful technique and famous hand-speed is jaw-dropping. Come see why Billboard magazine named him one of the top 10 instrumentalists in the country, why Keyboard Magazine calls him a piano Supertalent, and why Ryan was named the South Bay Music Awards Artist-of-the-Year. Guaranteed something for everyone in this high-energy musical extravaganza. It’s a show NOT to be missed! Ryan Ahern brings his live piano concert to the mainstage onboard Island Princess Cruises. Backed by the Island Princess Cruise Lines Showband it will be the highlight of the entertainment lineup for sure! 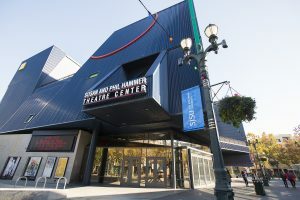 World-Champion Show Pianist, Ryan Ahern, brings his incredible live piano concert to San Jose, CA. Backed by his Red-hot contemporary pop orchestra, they will cross nearly every style and genre of music including Ryan Ahern’s award-winning Boogie-Woogie, music of Broadway, Rock ‘N’ Roll, Amazing Movie Themes, a Tribute to Liberace, Jerry Lee Lewis, and contemporary hits from Maroon 5, Disney, Seal, Queen, Ray Charles, and so much more! World-Champion Show Pianist, Ryan Ahern, brings his incredible live piano concert to San Francisco, CA. World-Champion Show Pianist, Ryan Ahern, brings his incredible live piano concert to the beautiful Orleans Hotel Showroom. This will be a very special television and DVD filming! 9 cameras will capture this amazing concert and will be released on DVD and played on PBS for 2019! Come be part of the excitement. World-Champion Show Pianist, Ryan Ahern, brings his incredible live piano concert to Sun City Summerlin Starbright Theater. The most amazing piano show ever! 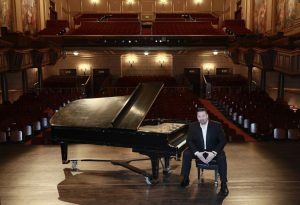 Champion Show-Pianist, Ryan Ahern brings his hit PBS television special to life in this one night only Crest Theater concert. Backed by his 8 piece orchestra, Ryan will perform all of his best-loved hits from the PBS Special as well as many more exciting arrangements. 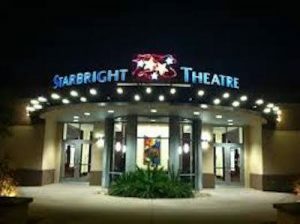 Don’t miss your opportunity to see the country’s leading show pianist as he performs styles and genres ranging from Boogie Woogie, movie music, Rock ‘n roll, music from Queen, Seal, and the Disney Songbook. Latin American hits, Broadway, classical, and contemporary pop hits round out the most incredible piano stage show available on the performance market today. Bring your friends, your kids, or take your mom for Mother’s Day. It will truly be an evening to remember forever. This show will sell out so book early to avoid disappointment. Saturday, May 4 at 7pm in Sacramento, CA. Champion Show-Pianist, Ryan Ahern brings his hit PBS television special to life in this one night only Harris Center Theater concert. Backed by his 8 piece orchestra, Ryan will perform all of his best loved hits from the PBS Special as well as many more exciting arrangements. 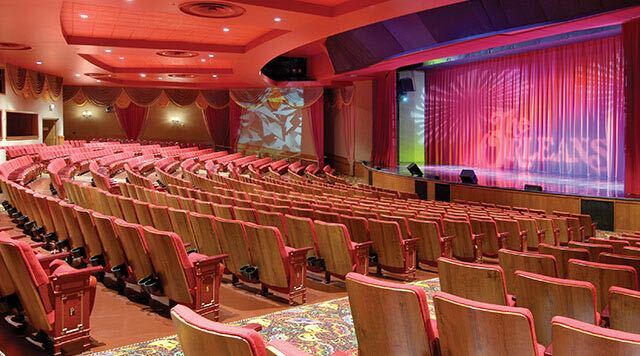 Don’t miss your opportunity to see the country’s leading show pianist as he performs styles and genres ranging from Boogie Woogie, movie music, Rock ‘n roll, music from Queen, Seal, and the Disney Songbook. Latin American hits, Broadway, classical, and contemporary pop hits round out the most incredible piano stage show available on the performance market today. Bring your friends, your kids, or make a special evening out of it. Be sure to watch for Ryan’s new 2018 PBS Special airing across the country. Filmed at the prestigious Smith Center in Las Vegas, NV, this high energy Piano Spectacular captured the very best of Ryan’s touring headliner show. Backed by his 8 piece Red-Hot Contemporary Pop Orchestra, Ryan takes you through nearly every genre of music from Rock n Roll to his award-winning Boogie-Woogie and from Movie Themes to Maroon 5.